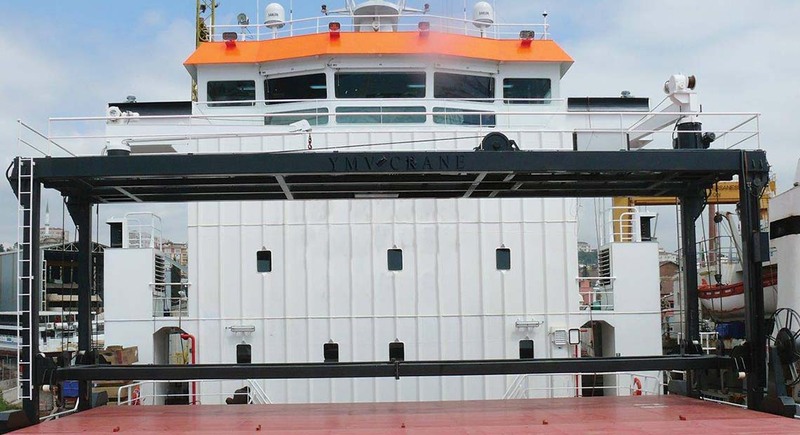 YMV Hatch Cover Cranes are designed and manufactured for lifting, lowering and collection of hatch covers of Cargo Vessels. Capacity range of YMV Hatch Cover Crane is between 3-40 t and span range is 8- 20 mt. Minimum and maximum working heights are 1,5-5 meter. Our cranes are manufactured as electric or hydraulic driven and control is made by lever located on one foot of crane. 4 or 8 wheel drive alternatives are available according to customer request. 8 Wheel drive type YMV Hatch Cover Cranes operate succesfully under over listing. 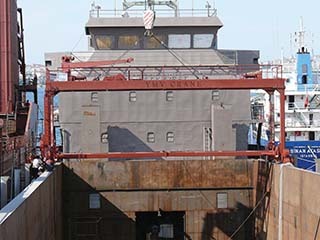 YMV Hatch Cover Cranes are cost effective as suitable for light weight Hatch covers. 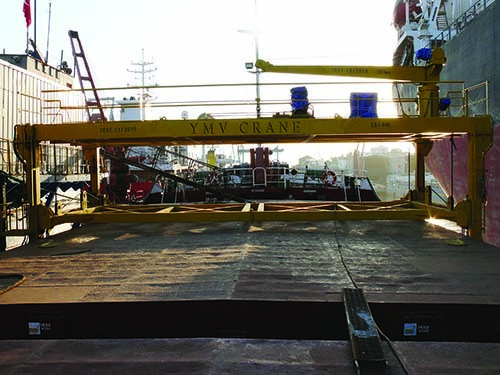 Easy maintenance and long life are some benefits of YMV Hatch Cover Cranes.